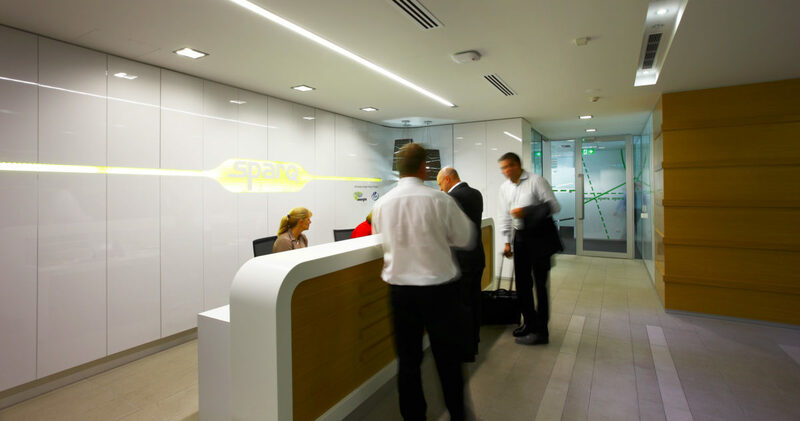 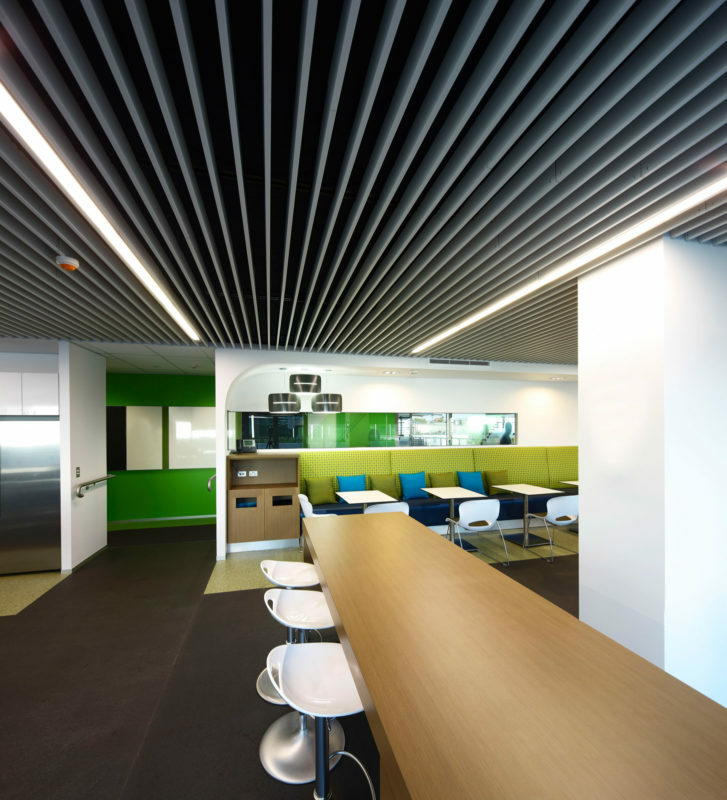 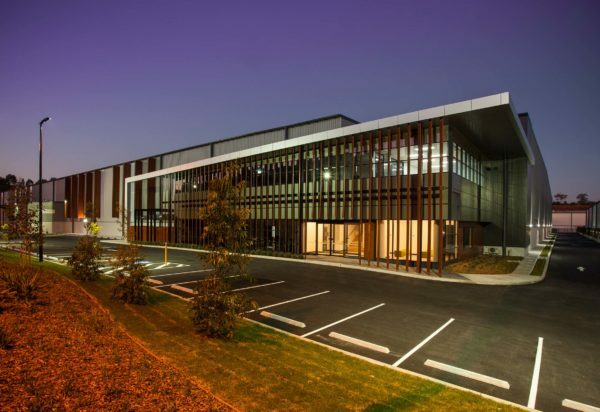 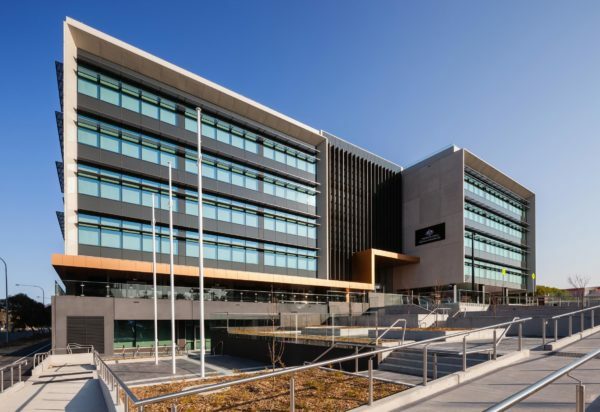 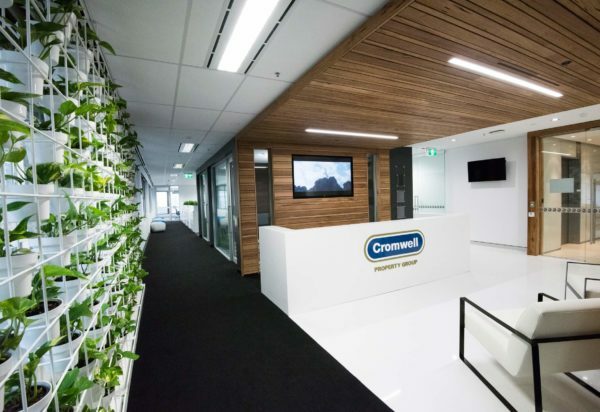 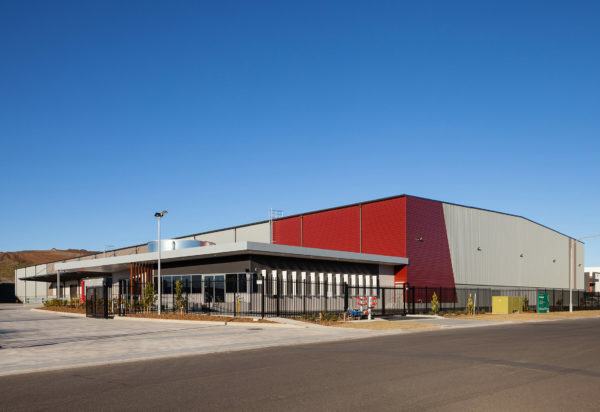 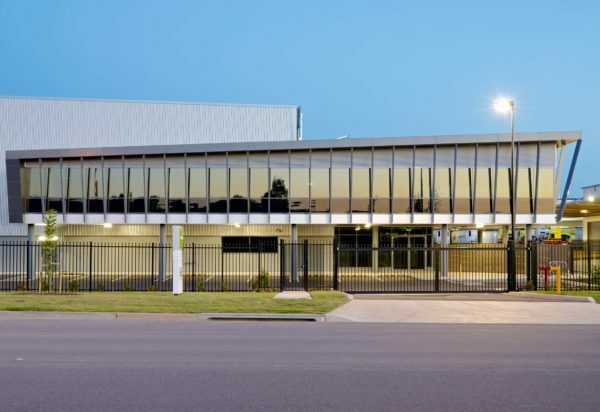 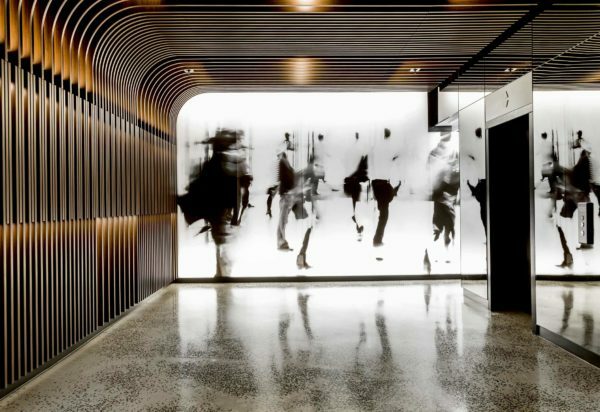 Located on the fringe of the Brisbane CBD, the vibrant and colourful 4000m2 fit-out for Sparq Solutions was successfully delivered within a four-month timeframe, from design to construction. 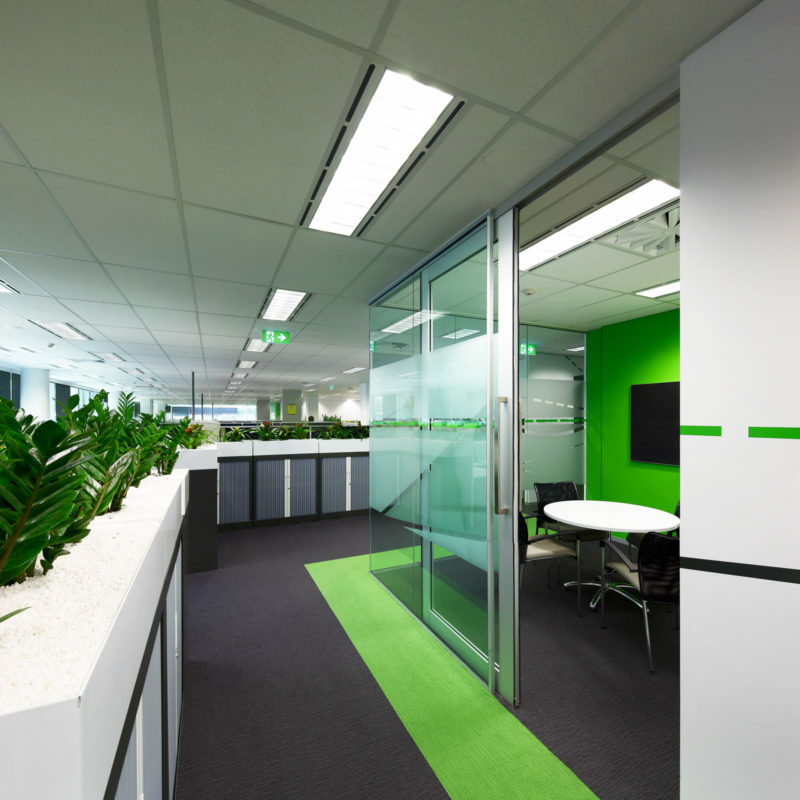 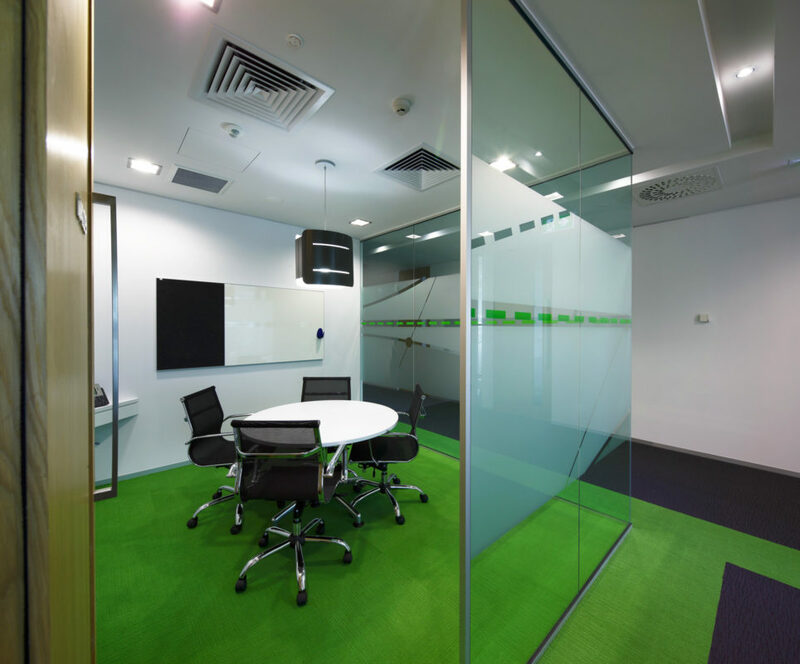 The refreshing white and green colour palette supported by bold graphics gives the office a lively and energetic feeling. 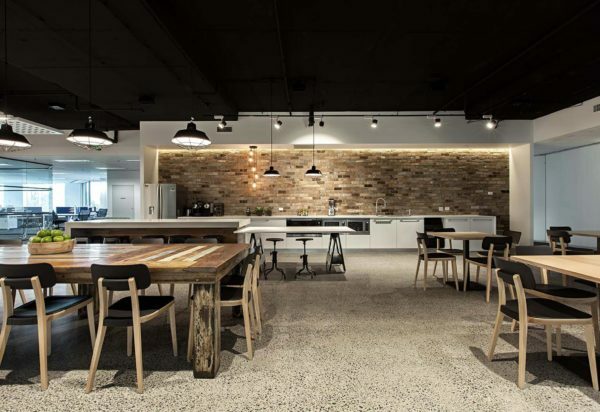 Timber finishes on walls, doors and joinery items add warmth and texture to the overall space. 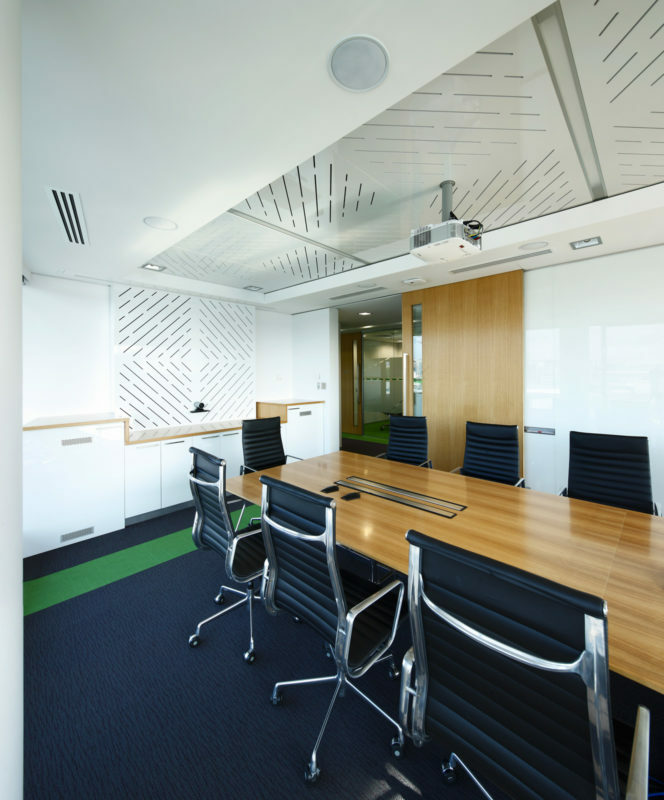 The project targeted a 4-Star Green Star rating, with all finishes and materials selected based on their sustainable qualities. 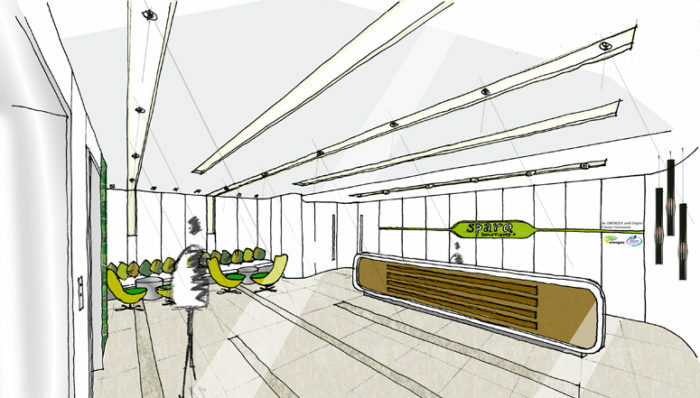 The final design, spread across three floors, adopts a concept guided by human anatomy. 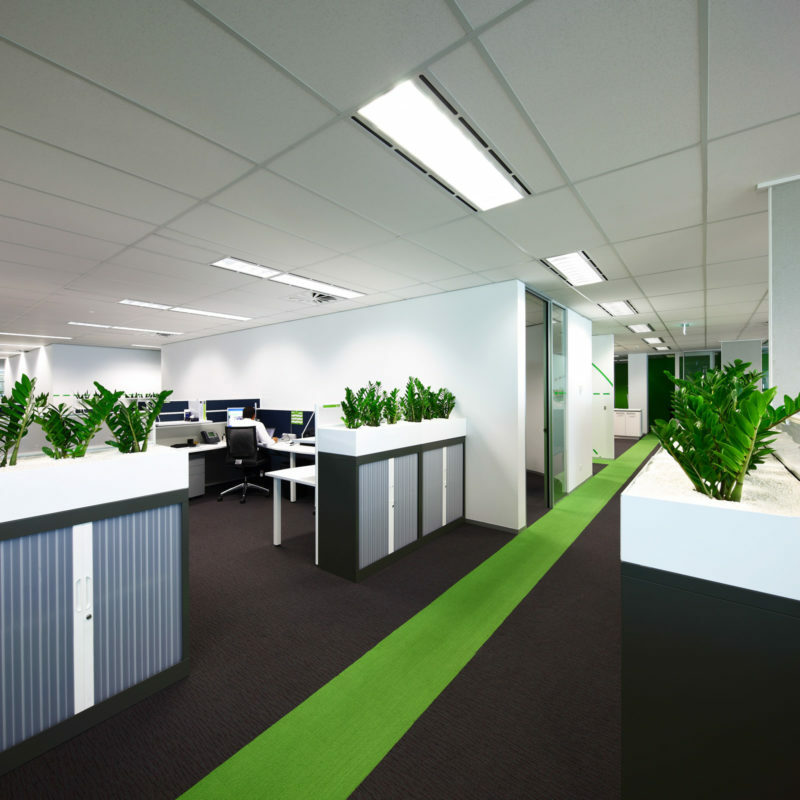 The large lower level act as the “body” of the business, while the middle floor with its substantial central staff hub forms the “heart”. 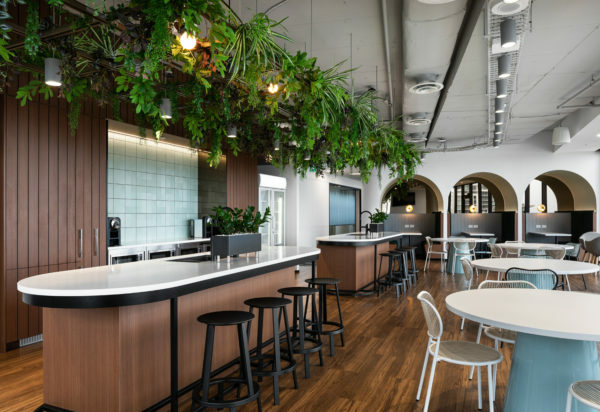 The top floor, home to the main reception, senior executives and meeting room suites, makes up the “brain” of the organisation, where strategies and ideas are born.